On Thursday I attended my viva examination at the Open University in Milton Keynes, for my doctorate, and was successful in defending my thesis. I was awarded the degree subject to amendments being made. I have six months to make these amendments which then have to be resubmitted for review before I finally gain my PhD. My thesis is entitled: A Study into Best Practices and Procedures used in the Management of Database Systems. I gave a short presentation at the beginning of the viva, as an icebreaker, which shared a high level overview of the research. Following that the examiners asked many questions. 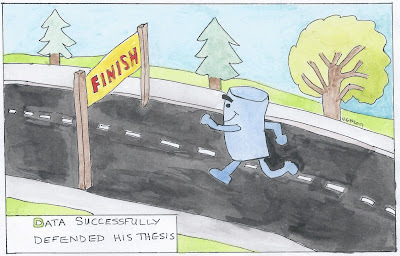 The viva questions were hard, covering the end to end thesis and required a lot of careful thinking about, to answer them succinctly and to explain the methods, literature and findings. I was exhausted at the end of the process but reflecting now feel I have been so privileged to have been able to be innovative and adding to the body of knowledge. It has been really exciting to be able to work jointly in industry and research. I strongly believe that with both industry and research working hand in hand, greater improvement and innovation can take place.